The lady we were surveying held out a glass of water in one hand, as she held her child in the other. “Thank you, but I’ve had enough to drink,” I said smiling. I did not want to be impolite, so how else do you express gratitude universally? Smile. Apparently she took it as a yes and pushed it further into my hand. My translator, Babu, saved me. He reached over, gently took it from her hand, spoke in Telugu, pointed at me, and rubbed his belly. Something along the lines of my stomach couldn’t take it. My poor American gastrointestinal tract agreed. We were supposed to decline food offered to us by the villagers, and above all avoid drinking the water or anything not in a sealed bottle. The rules put in place for our safety nevertheless reminded us of our removal from the daily lives of the villagers. No matter how much time we spent with them, nor how many people we spoke to, nor how many children we played cricket with, we could not fully understand the villagers’ lives, nor they ours. But we could try. And our differences, rather than diminishing our relationships, intensified them. A lively curiosity animated the homes we visited, and the streets we walked. We were fascinated by the villager’s traditional dress, and bangles, and designations of marriage (a necklace and rings on the feet); they loved our DEET and cameras to no end. When I jogged on the outskirts of the villages, two wheelers would whiz by, then slow down and stop, their riders gesturing that they could take me where I needed to go. To run without a destination seemed nonsensical to them, but then so did the idea of eating on a fasting day to us. ‘Data collection’ understated the experiences of our two week long stay in the villages of Maharashtra and Telangana. We collected 122 household and individual surveys on the types of food villagers were eating, and their preferences for eating food not prepared in their home. What the surveys don’t capture are the discoveries that naturally materialize when two cultures touch. They examined our lives as we examined theirs. ‘Do you all really eat raw meat in the US?’, we were asked. Naturally, we dispelled their misunderstandings, and they dispelled ours. 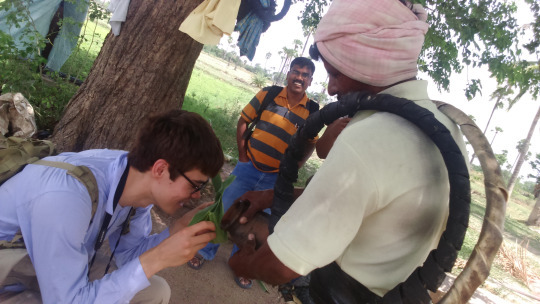 By trips end, we understood that village life is not a vestige of India, backward and entrenched in the past. It’s an alternative way of life that works, and has an order to it. Like all livelihoods, there are difficulties. 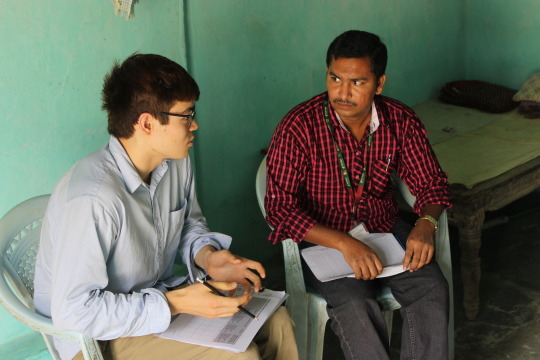 Our hope is that our data collection and what is found in the VDSA, ICRISAT’s long-term village studies database, will be accompanied by further research, with the ultimate goal of informing nutrition programs and government schemes that benefit India’s villagers.